Tonight I got to do something that I’d been wanted to do for ages. 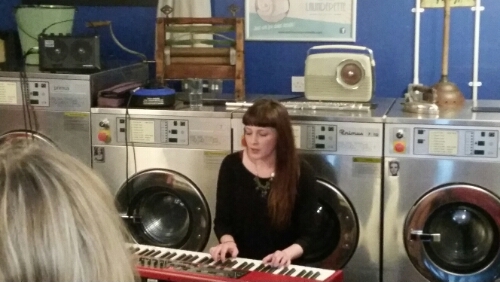 Last September we discover the Old Cinema Launderette in Durham and I found out that they regularly host folk gigs there. 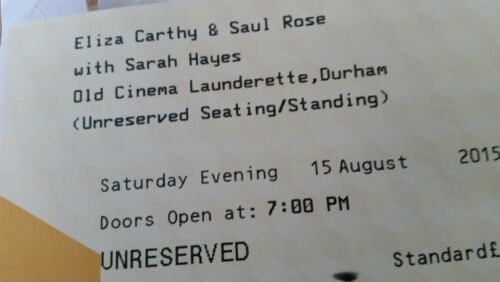 Since then I’ve been dying to go and tonight I went there to see Eliza Carthy play. 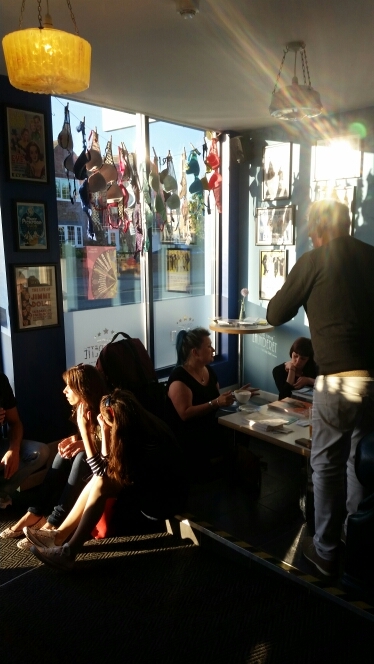 It’s a really small place and probably only holds about 40 people so there’s a lovely intimate setting. 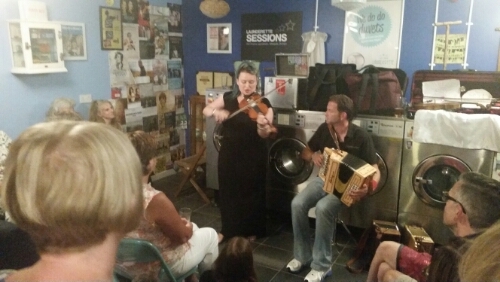 The performers mingle with the audience which is cool but also quite disconerting when you come out of the loo and find Eliza Carthy waiting to go in! 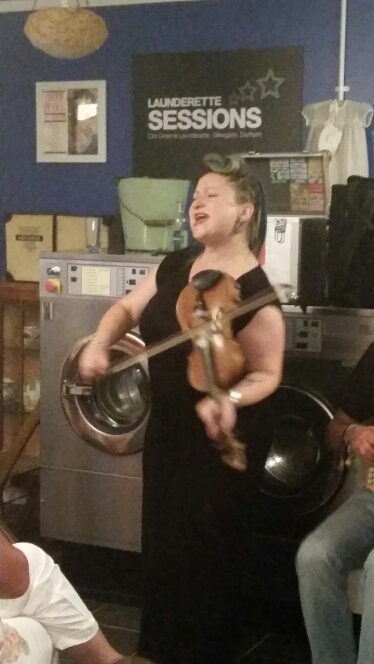 The gig itself was great, she was performing just with melodeon player Saul Rose in front of the row of washing machines! There was no microphones, no PA system just them performing for a handful of people! A great night. Support act Sarah Hayes was good too!